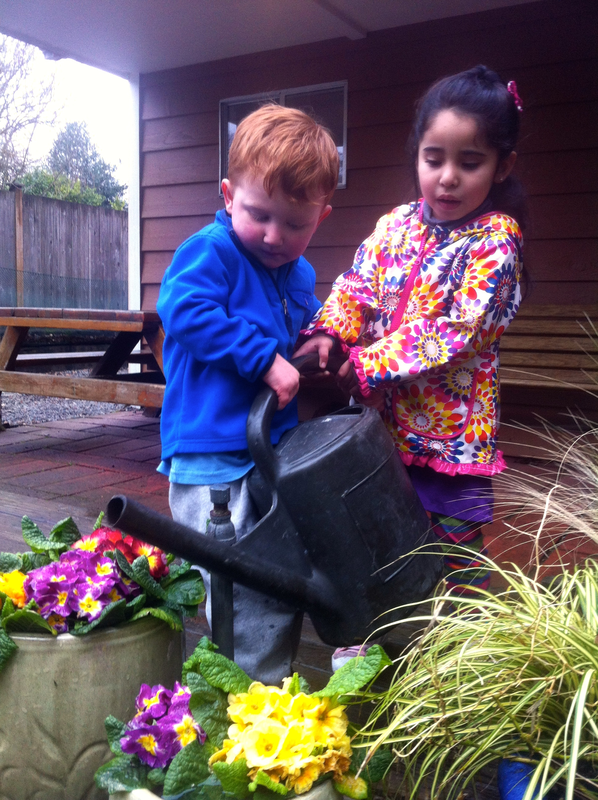 Welcome to Shoreline’s premier Eco-Friendly Childcare and Preschool for infants through pre-kindergarten. The Teaching Home Family is an Early Achievers rated program. The Teaching Home provides infant and childcare year-round. Children of all ages receive a well-rounded educational experience and life-long learning skills. We promote self confidence and individuality as we encourage the children to become independent thinkers. Preschoolers are offered the opportunity to express themselves, use their imaginations and explore! Meaningful relationships are built with teachers and classmates. Small group sizes provide dedicated attention from our teachers, while establishing a nurturing connection with each child. Our un-institutionalized program is structured with the balance of meeting each child where they’re at, and incorporating parent’s goals into our routines. Our preschool is affiliated with Edmonds Community College Family Life Education Department and only open to a small select group of Washington State licensed providers. Our staff actively participates in continuing education in early child development with the college as well as outside resources. For more information about the CPPC preschool program visit our curriculum page. Our positive, secure, and enriching home atmosphere and curriculum are based on scientific research, creating a healthy environment for play, learning, and growing. With a positive climate being the cornerstone of our philosophy, we promote developing healthy social and emotional skills, while maintaining independence. We invite you to learn more about The Teaching Home Family Childcare and Preschool by exploring our website, and arranging a private tour of our beautiful home campus and preschool facility with your family and child. Working together preparing children for Kindergarten and to thrive in life!